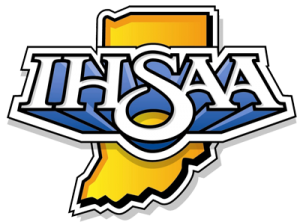 A new format for a record 322 teams is set as the pairings were announced this evening for the 41st Annual IHSAA Football State Tournament presented by the Indianapolis Colts. For the first time Class 6A will be used for the 32 largest schools in the state. With all eight of those sectionals including four teams each, sectional semifinal games will be played on Oct. 25, sectional championship games on Nov. 1 followed by regionals on Nov. 8 and semi-states on Nov. 15. The two teams competing in the state championship game will have a week off before playing for the title. In 5A, with the next 34 largest teams competing, two first round games must be played in sectionals 9 and 13 on Oct. 25 that contain five teams each. All other 5A teams will have a week off until sectional semifinals are played on Nov. 1 followed by sectional championship games on Nov. 8. Teams in classes 4A, 3A, 2A and 1A will begin with first round sectional games on Oct. 25 and will play on consecutive weeks all the way to the state championship games as they have in previous years. The 12 teams that earn a berth in the state finals will play on Thanksgiving weekend in Lucas Oil Stadium, home of the NFL’s Indianapolis Colts, the state tournament’s presenting sponsor. A new format for the state championship games will also be utilized for the first time as the Class A, 3A and 5A games will be played on Friday, Nov. 29 while the 2A, 4A and 6A contests are set for Saturday, Nov. 30. In previous years, the Class A and 2A were played on Friday with 3A, 4A and 5A following on Saturday. In all, 316 games will be played around the state over the six-week tournament. See next week’s Sports Journal for a breakdown and predictions on the sectionals affecting local teams. Total schools entered: 322 teams (state tournament record), 18,668 participants and 316 games. By class: 6A has 32 teams, 5A has 34 teams, and 4a-1A have 64 teams each. Defending state champions: 6A is a new classification for 2013 tournament; 5A Lawrence Central; 4A Indianapolis Cathedral; 3A Indianapolis Bishop Chatard; 2A Fort Wayne Bishop Luers; 1A Lafayette Central Catholic. First time competitors: Indianapolis Tindley and Trinity Lutheran. Also four Indianapolis area teams are returning to the tournament: Manual, Marshall, Shortridge and Washington. Schools playing up one class due to Tournament Success Factor: Indianapolis Cathedral (5A), Indianapolis Bishop Chatard (4A), Fort Wayne Bishop Luers (3A), Indianapolis Scecina (2A) and Lafayette Central Catholic (2A). 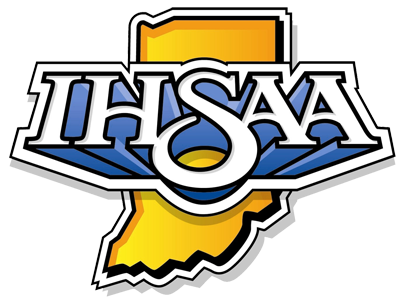 Most state championships: (12) Indianapolis Bishop Chatard; (11) Fort Wayne Bishop Luers; (10) Indianapolis Cathedral; (9) Sheridan; (8) Roncalli; (7) Ben Davis, Carmel, Warren Central; (6) Lafayette Central Catholic; (5) Penn. This entry was posted in Football, IHSAA. Bookmark the permalink.